Present state: Demolished - no evidence of the station remains. Both Clifton Road and Craven Road have been extended with new housing between the two roads covering the station site. There is a house on the south side of Clifton Road named Westfields Halt, this is not on the site of the halt. 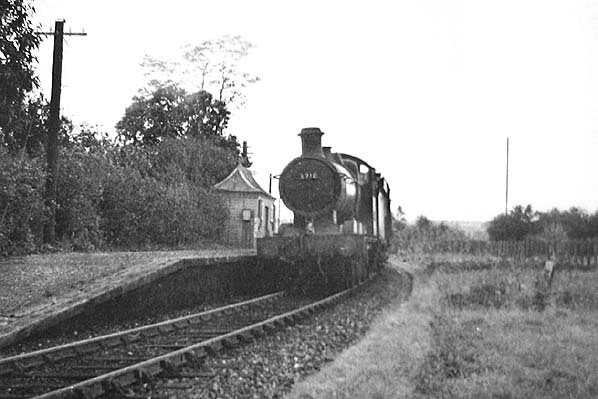 Notes: Newbury West Fields Halt was the last station on the line to open on 1.10.1906 and was the first to close on 4.2.1957. The station was sited on a curve between the ends of Gloucester Road (now Clifton Road) and Craven Road with access from both roads. 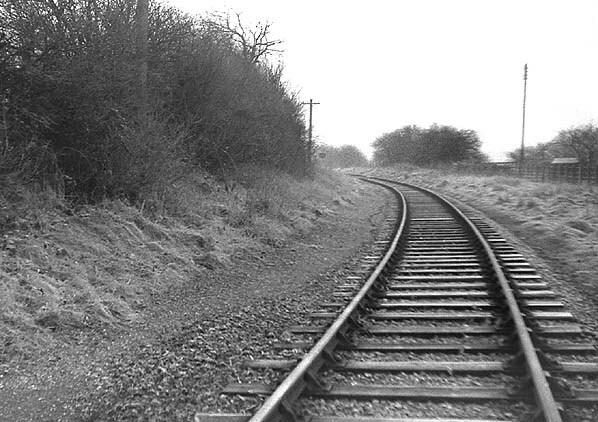 In line with all other stations on the branch the original platform was 9" high but this was later replaced by a standard height platform which was topped with cinders and fine gravel while it's leading edge was built of sleepers. Rails sunk vertically into the ground supported the entire structure throughout its length. The station was unstaffed after 1934. The halt was removed from the timetables in September 1956 but still operated carrying passengers, small goods and milk. Collett '2251' class 0-6-0 heads a Lambourn bound train at Newbury West Fields Halt taken from the same viewpoint as the picture above. The three telegraph poles can be seen in both pictures. 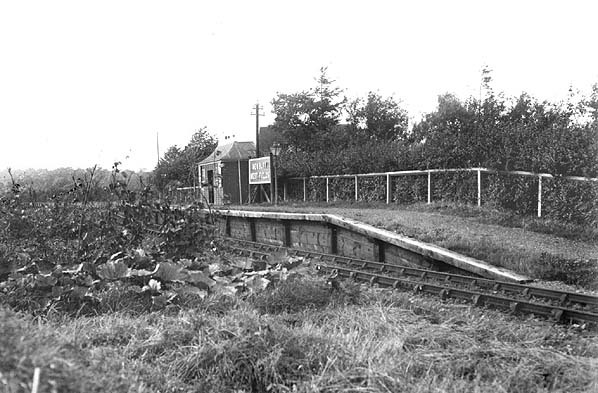 The station building was removed shortly after closure.